Insight into the Ludwigstrasse in Edesheim (Rhineland-Palatinate). The birthplace of Paul Henri Thiry d’Holbach was in the house n° 4. Old picture postcard from 1940. Kasteel Heeze te Heeze, since the year 1733 in possession of François Adam d’Holbach. In 1735 additional buildings were erected. Paul Henri Thiry Holbach inherited this estate in 1750. 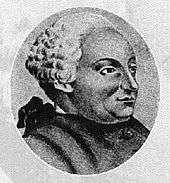 Paul-Henri Thiry, Baron d'Holbach (French: [dɔlbak]), was a French-German author, philosopher, encyclopedist and prominent figure in the French Enlightenment. He was born Paul Heinrich Dietrich in Edesheim, near Landau in the Rhenish Palatinate, but lived and worked mainly in Paris, where he kept a salon. He was well known for his atheism and for his voluminous writings against religion, the most famous of them being The System of Nature (1770). D’Holbach's mother Catherine Jacobina née Holbach (1684–1743) was the daughter of Johannes Jacobus Holbach (died 1723) the Prince-Bishop's tax collector for the Roman Catholic Diocese of Speyer. His father, Johann Jakob Dietrich, (with other notations: ger. : Johann Jakob Dirre; fr. : Jean Jacques Thiry) (1672–1756) was a wine-grower. D’Holbach wrote nothing of his childhood though it is known he was raised in Paris by his uncle Franz Adam Holbach, (or Adam François d’Holbach or Messire François-Adam, Baron d’Holbach, Seigneur de Heeze, Leende et autres Lieux) (approx. 1675–1753), who had become a millionaire by speculating on the Paris stock-exchange. 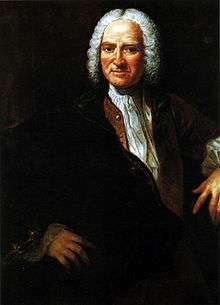 With his financial support, d’Holbach attended the Leiden University from 1744 to 1748. Here he became friends with John Wilkes. 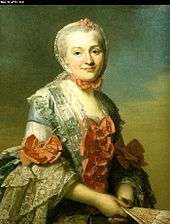 Later he went on to marry his second cousin, Basile-Geneviève d'Aine (1728–1754), on 11 December 1750. In 1753, a son was born: Francois Nicholas who left France before his father passed. Francois moved through Germany, Holland, and England before arriving in USA (per American family bible/German and Italian references). In 1753 both his uncle and his father died, leaving d'Holbach with an enormous inheritance, such as Heeze Castle, Kasteel Heeze te Heeze. 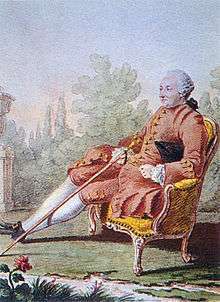 D’Holbach would remain wealthy throughout his life. In 1754, his wife died from an unknown disease. The distraught d’Holbach moved to the provinces for a brief period with his friend Baron Grimm and in the following year received a special dispensation from the Pope to marry his deceased wife's sister, Charlotte-Suzanne d’Aine (1733–1814). They had a son, Charles-Marius (1757–1832) and two daughters Amélie-Suzanne (13 January 1759) and Louise-Pauline (19 December 1759 – 1830). For the Encyclopédie d'Holbach authored and translated a large number of articles on topics ranging from politics and religion to chemistry and mineralogy. As a German who had become a naturalised Frenchman, he undertook the translation of many contemporary German works of natural philosophy into French. All in all, between 1751 and 1765 he contributed some four hundred articles to the project, mostly on scientific subjects, in addition to serving as the editor of several volumes on natural philosophy. D'Holbach may also have written several disparaging entries on non-Christian religions, intended as veiled criticisms of Christianity itself. Despite his extensive contributions to the Encyclopédie, d'Holbach is better known today for his philosophical writings, all of which were published anonymously or under pseudonyms and printed outside France, usually in Amsterdam by Marc-Michel Rey. His philosophy was expressly materialistic and atheistic and is today categorised into the philosophical movement called French materialism. In 1761 Christianisme dévoilé[lower-alpha 1] appeared, in which he attacked Christianity and religion in general as an impediment to the moral advancement of humanity. The deistic Voltaire, denying authorship of the work, made known his aversion to d'Holbach's philosophy, writing that "[the work] is entirely opposed to my principles. This book leads to an atheistic philosophy that I detest." Christianity Unveiled was followed by others, notably La Contagion sacrée [lower-alpha 2], Théologie portative[lower-alpha 3] and Essai sur les préjugésTemplate:1770 - "Essay on prejudice". D'Holbach was helped in these endeavours by Jacques-André Naigeon, who would later become his literary executor. In his last works, d'Holbach's attention largely shifts away from religious metaphysics towards moral and political questions. In the Système social (1773), the Politique naturelle (1773–1774) and the Morale universelle (1776) he attempts to describe a system of morality in place of the Christian one he had so fiercely attacked, but these later writings were not as popular or influential as his earlier work. D'Holbach was strongly critical of abuses of power in France and abroad. Contrary to the revolutionary spirit of the time however, he called for the educated classes to reform the corrupt system of government and warned against revolution, democracy, and mob rule. He, however, believes that the state should prevent a dangerous concentration of wealth amongst a few individuals from taking place. He also believes that hereditary aristocracy should be abolished on the ground that it breeds indolence and incompetence. He criticizes the then prevailing policy of the French government to let private individuals collect tax on the ground that the tax collectors often extort double the money they are supposed to collect from the citizens. He expresses the view that religious groups should be voluntary organizations without any government support. His death is thought to have taken place shortly before the French Revolution. He was buried on January 21, 1789, in the ossuarium beneath the altar in the parish church of Saint-Roch, Paris. This ossuarium has been ransacked twice, once during the French Revolution and again during the 1871 Paris Commune. When d'Holbach's The System of Nature was first published, many believed Diderot to be the actual author of the book. Based on the writing style, the Durants opine that the book was not written by Diderot although he may have composed the flowery address to Nature towards the end of the book. According to Marmontel, d'Holbach "had read everything and never forgotten anything of interest." Jean-Jacques Rousseau commented that d'Holbach could hold his own among scholars since he was learned and knowledgeable.Diderot enthusiastically endorsed d'Holbach's book System of Nature. During the French Directory, a book of d'Holbach was circulated to all departmental heads in a bid to rein in religious revivalism. In England, d'Holbach's views influenced Priestly, Godwin, and Shelley. In Germany, d'Holbach's views influenced Immanuel Kant. [note 3]It is speculated that d'Holbach's views influenced the historical materialism of Karl Marx. ↑ Cliteur, Paul (2010). The Secular Outlook: In Defense of Moral and Political Secularism. Wiley-Blackwell. p. 21. ISBN 978-1444335217. Retrieved August 29, 2013. ↑ Arthur M. Wilson (175). Diderot. Oxford University Press. p. 620. ↑ Charlotte Daine (2012-01-18). "Genealogy Charlotte d'Aine". Gw1.geneanet.org. Retrieved 2012-08-16. ↑ "Old photograph of the 1949 destroyed building". Retrieved 2012-08-16. ↑ "Pictures and a short presentation of the history of the building in french language". Fr.topic-topos.com. Retrieved 2012-08-16. ↑ Blom, Philipp: A Wicked Company. The Forgotten Radicalism of the European Enlightenment. Basic Books, New York, (2010), p. 181, ISBN 978-0-465-01453-8. ↑ Sources differ regarding d'Holbach's dates of birth and death. His exact birthday is unknown, although records show that he was baptised on 8 December 1723. Some authorities incorrectly give June 1789 as the month of his death. ↑ Blom, Philipp: A Wicked Company. The Forgotten Radicalism of the European Enlightenment. Basic Books, New York, (2010), p. 302, ISBN 978-0-465-01453-8. 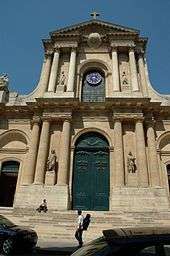 ↑ Today the address is 10, rue des Moulins, which is near The Louvre and the Jardin Royal, and not 500 meters from the parish church Saint-Roche where he, Denis Diderot, and many other notables would be buried. The address was changed during Haussmann's renovation of Paris. ↑ Blom, Philipp: A Wicked Company. The Forgotten Radicalism of the European Enlightenment. Basic Books, New York, (2010), pp. xi, xii, 1, ISBN 978-0-465-01453-8. ↑ Blom, Philipp, Enlightening the world: Encyclopédie, the book that changed the course of history, New York, Palgrave Macmillan, 2005, p. 124, ISBN 1-4039-6895-0. ↑ Will Durant (1967). The Story of Civilization Volume 9:The Age of Voltaire. Simon&Schuster. p. 149. ↑ Will Durant (1967). The Story of Civilization Volume 9:The Age of Voltaire. Simon&Schuster. pp. 695–6. ↑ Will Durant (1967). The Story of Civilization Volume 9:The Age of Voltaire. Simon&Schuster. p. 696. ↑ T. C. Newland, "D'Holbach, Religion, and the 'Encyclopédie'", Modern Language Review, Vol. 69, No. 3, (Jul., 1974), pp. 523–533. ↑ Voltaire, Oeuvres, xxxvii. 23. ↑ Virgil V. Topazio, "Diderot's Supposed Contribution to D'Holbach's Works", in Publications of the Modern Language Association of America, LXIX, 1, 1954, pp. 173-188. ↑ Virgil W. Topazio, D'Holbach's Moral Philosophy: Its Background and Development (Geneva: Institut et Musée Voltaire, 1956), p. 117. ↑ "Chapter XV, Pt I, English translation, 1820". Ftarchives.net. Retrieved 2012-08-16. ↑ System of Nature, Chapter 15, Part I. 1 2 3 Will Durant (1965). The Story of Civilization Volume 9:The Age of Voltaire. Simon&Schuster. p. 707. 1 2 Will Durant (1965). The Story of Civilization Volume 9:The Age of Voltaire. Simon&Schuster. p. 708. ↑ Will Durant (1965). The Story of Civilization Volume 9:The Age of Voltaire. Simon&Schuster. p. 709. ↑ Blom, Philipp: A Wicked Company. The Forgotten Radicalism of the European Enlightenment. Basic Books, New York, (2010), pp. xii, 302, ISBN 978-0-465-01453-8. ↑ Arthur M. Wilson (1972). Diderot. Oxford University Press. pp. 175–6. ↑ Will Durant (1965). The Story of Civilization Volume 9:The Age of Voltaire. Simon&Schuster. pp. 699–700. ↑ Will Durant (1967). The Story of Civilization Volume 10: Rousseau and Revolution. Simon & Schuster. p. 18,27. 1 2 Arthur M. Wilson (1972). Diderot. Oxford University Press. p. 182. 1 2 Will Durant (1965). The Story of Civilization Volume 9:The Age of Voltaire. Simon&Schuster. p. 697. ↑ Will Durant (1967). The Story of Civilization Volume 10: Rousseau and Revolution. Simon&Schuster. pp. 27–8. 1 2 Will Durant (1967). The Story of Civilization Volume 10: Rousseau and Revolution. Simon & Schuster. p. 153. 1 2 Arthur M. Wilson (1972). Diderot. Oxford University Press. p. 177. ↑ Will Durant (1965). The Story of Civilization Volume 9:The Age of Voltaire. Simon & Schuster. p. 700. 1 2 3 4 Will Durant (1965). The Story of Civilization Volume 9:The Age of Voltaire. Simon&Schuster. p. 713. ↑ This was d'Holbach's first wife. Two years later he would marry her sister. ↑ According to Rousseau, most of this money was pocketed by Therese's mother for herself, and for her other daughters. ↑ It was the combination of d'Holbach's materialism and Hume's skepticism that awoke Kant from his "dogmatic slumber". ↑ 1768 - "The Sacred Contagion"
↑ 1768 - "Portable Theology"